Since Summer 2009 Rockbox is running (unstable) on a iPod nano 2nd generation. Reason enough to try it. 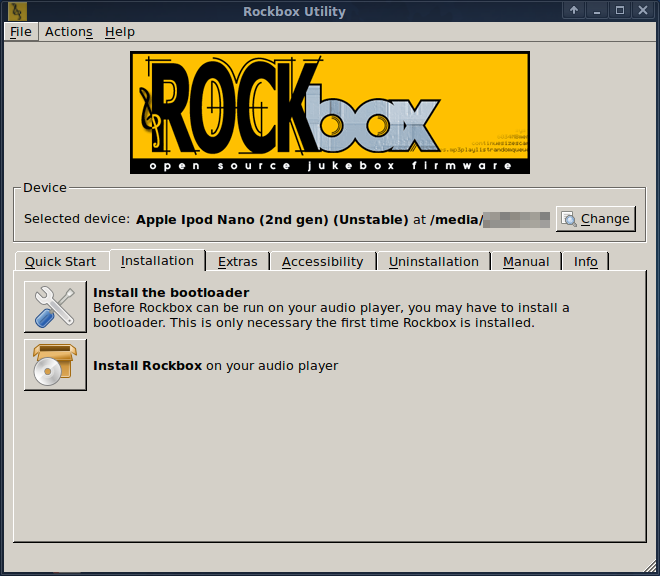 Rockbox is free software released under the GNU General Public License. Especially the possibility to watch movies on my iPod makes the try worth it. 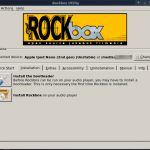 For installing I used the RockboxUtility. The iPod Nano second generation is not yet recognized automatically, therefore you need to set the mountpoint correctly in the settings dialogue. Automatic installation is also not yet working. Open the tap Installation and install the bootloader and Rochbox separately. The most recent version will be downloaded automatically. Within the tab Extras, you can install more themes and fonts, to make your iPod look better, than already the case. For Doom on your iPod you also find the needed files here. When the installation is finished Rockbox will be loaded when starting your iPod the next time. The handling feels as nice as with the original firmware, but there are much more menu points. To get the music in your iTunes database played you need to actualize the database once. 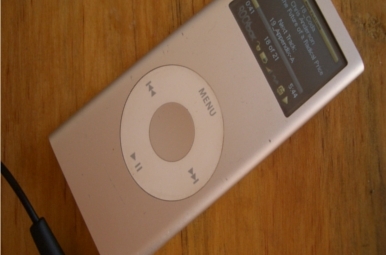 To transfer music to the iPod you still need to load the original firmware, because Rockbox freezes when connecting. Therefore flip the hold switch while starting. Now connect the iPod and fill it either per Drag&Drop, or using a program like Banshee. Banshee recognizes the iPod as Rockbox Device and you can just put all your music there. Banshee saves the album covers as cover.jpg in the appropriate folders, so that they are shown while playing your music. Then it is ready to be transferred and to be watched. It is nearly like cinema. 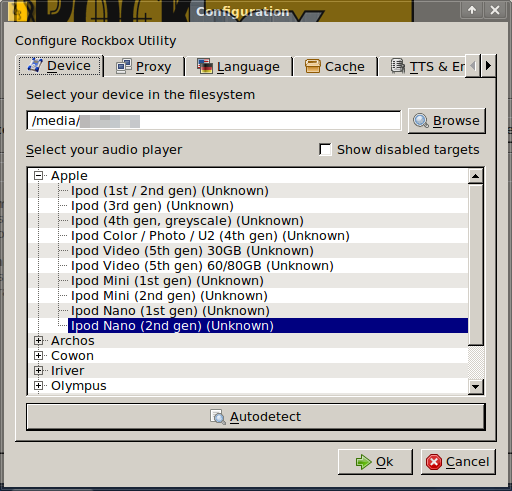 A detailed manual for Rockbox and the iPod Nano 2nd generation is available on the developer’s page. Warning: Doing so you might lose all your warranty and spoil your device. You can do it, but at your own risk. If you accidentially destroy your iPod firmware, you might be able to get it working again using this manual: How to repair / restore iPod firmware on linux. Take care, what you are doing. Like the author of this article i have overwritten the master boot record and my partition table trying it the first time. Filling the iPod with music is now also working with Rockbox natively.